Do you love baking with the kids but hate the big mess? Of course! Less time spent cleaning means more quality time with your little ones. Simplify the process while keeping it fun for the kids by purchasing pre-made cookie-dough sheets. 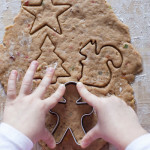 Let the kids use fun cookie cutters to create Christmas-themed cookies, and then decorate them with sprinkles, icing, and other assorted toppings that you’ve set out on a table beforehand. The kids will love being culinary artists and customizing the cookies all on their own. Time-Saving Tip: Wrap the cookies in plastic, tie them with a beautiful ribbon, and give them out as gifts. 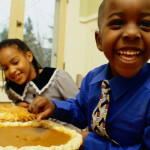 The kids will have a great time, and you’ll be able to scratch off some of your holiday to-dos. 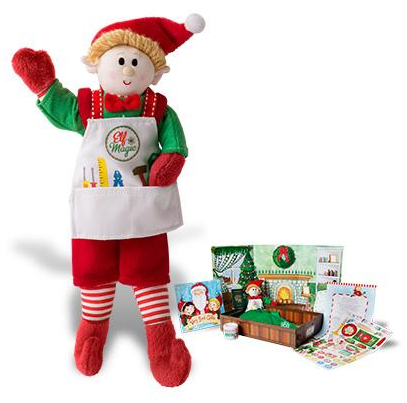 Of course, be sure to save a few cookies for Santa and your Elf Magic Elves as a special holiday snacks. 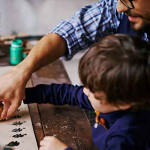 It’s easy to let your kids create their very own unique Christmas ornaments that will become treasured family favorites to hang on the tree each year. Purchase inexpensive wooden shapes from the craft store or shatterproof plastic balls from the dollar store. Then let your kids unleash their artistic imagination by decorating the items with markers, paints, and glitter to create their own special masterpieces. Offer a choice of fancy ribbons for hanging the ornaments. Consider adding your child’s name and the year to each ornament to make it a keepsake. Time-Saving Tip: Pick up glitter and other small decorating items that may have scattered on the floor by wrapping masking tape around your hand and patting the area. The best part? The kids will love to help clean up this way, too! They look great, but store-bought gingerbread-house kits can be very complicated. Why not use everyday foods that you already have and make a kid-sized gingerbread house that is as fun to eat as it is to make? Start by covering a piece of cardboard with aluminum foil for the base. Use graham crackers for the walls of the house and hold them together with whipped cream from a can. Decorate with M&Ms, Skittles, chocolate chips, or any other candy that your children like. This is so fun and easy, why not create a Gingerbread Village for your Elves? Time-Saving Tip: Avoid a grocery-store run by thinking outside of the box and looking inside your pantry. Pretzel sticks make awesome fences and marshmallows can be crafted into adorable snowmen. Decorating a strip of cardboard to make a custom bookmark. Finish it with yarn or a ribbon tail. Cutting a foam sheet into a picture frame and decorating it. Tape a photo into the opening and cover the back with a piece of cardboard. Using markers, paints, and glitter to decorate clothing, trinket boxes, flower pots, magnets, or door hangers—any item that someone special would enjoy. Time-Saving Tip: Well before you begin, have the kids write down the list of people they want to make gifts for. This will give you plenty of time to print special photos or pick up small items to decorate. This Christmas, add some extra fun to the season by creating treasured holiday traditions that your kids will look forward to year after year. 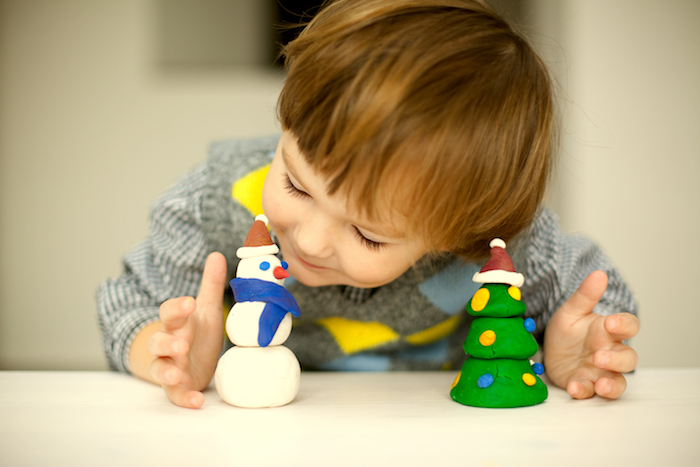 As they count down the days until Christmas, your kids will enjoy these creative ways to celebrate the holidays. Best of all, these simple activities will become cherished memories for your children, teaching them to appreciate the magic of the season.